I always find it amusing to contrast the experience of going out for dinner with a group of visually impaired people and a group of people with full sight. The visually impaired people always have something to say about the background music in the restaurant. But if I were to comment on the music to a sighted group, they’d say, ‘What music?’ They’d be too busy checking out the fashions on the other side of the room. The world is run on sight. But it’s as if sight creates a glare that blocks out the other senses. And if you’re going to succeed as a writer, you need to move beyond your sight and tap into your four other senses and use those senses to draw readers into your world. Stories that draw on all five senses have a rich texture and come alive in the readers’ minds. As a writer, it’s vital to see the world using more than just your eyes. You need to experience it through your nose, your ears, your hands and your tongue, even through your skin. Thinking about the music your characters like, their favourite food and smells that transport them to their childhood will bring them to life, make them human. There are exercises you can do to get your senses working. Oranges are a feast for the senses, with their vivid colour and their bittersweet aroma and taste. 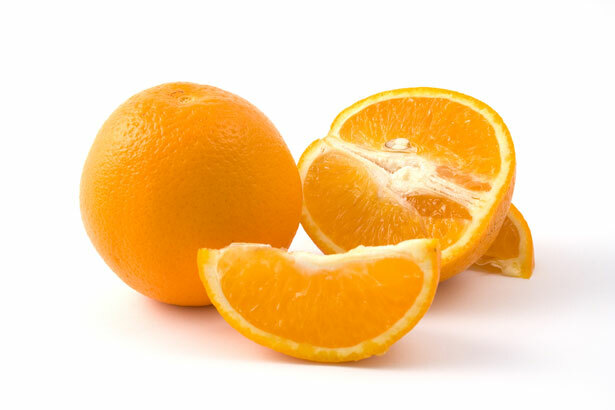 They can also be very symbolic; in Five Quarters of the Orange by Joanne Harris, oranges are used in an act of betrayal. Just take an orange, eat it and describe the experience. It’s bound to provoke a strong reaction. If you’re alone in a cafe, instead of rubbernecking to see what everyone’s wearing, why not just listen instead and take note of five sounds and describe them. If you listen hard, you’ll even hear small, subtle sounds through the clatter of cups. It’s a way of training your ear. The senses are strongly linked to the emotions. Hold an object that’s precious to you in your hand. Examine it from every angle, test it for its weight. Then describe it and use that description as a springboard to describe the emotions and memories associated with it. Your senses are a gateway into your story. Close your eyes and let yourself be drawn into a world of wonders. The phone call came on a Thursday afternoon. Work was quiet; my brain was gripped by a late afternoon slump. But the call snapped me back to attention. It was the editor of a newspaper in my hometown of Clonmel, The Premier People. Did I want to edit the paper for the month of August? She made the job sound easy, a chance to use my editing skills. In reality, I have to fill nine pages with stories, at a time when the courts and councils are off, the criminals have gone on holiday and even the press releases have dried up. Still, the rust is starting to flake off and my dormant newsgathering skills are starting to come back to life. Getting a newspaper to press is a bit like reading a thriller. You’ve the suspense of wondering will it be done on time, yet at the back of your mind, you know it will. Despite a quiet season, there have been some juicy news stories to get my pulses going. Who’d have thought I’d be grateful for a plane crash? And journalism is wonderfully varied. You get a chance to talk to all kinds of interesting people. So far, I’ve spoken to an ex-priest, Mr Gay South Tipp (who goes by the colourful name of Gordie Gooney) and a woman fighting against the repossession of her land. Thinking of interesting questions to ask them is fun too. Throughout my journalism career, I’ve tended to concentrate on features rather than news. So I’m drawing on my feature-writing skills to fill the pages with stories about the arts, tourism, heritage and articles giving advice to parents of schoolgoing children and those about to leave school. I’ve always scorned the idea of relying on press releases to fill newspapers. I call it microwave journalism – the equivalent of reheating your dinner. Now I fully understand the temptation. When an ad gets pulled at the last minute and you’re looking at an acre of white space, you’ll fill it any way you can. For the past two years, I’ve been advising businesses on how to approach the media for coverage. Now I’m in an even better position to advise them. Bottom line, you’ve got to send in a press release with a proper story, no blatant promotion. But if you do, you’re showing an editor that you’re available to talk to them and they will consider it. Oh and they love a picture. Pictures fill in those pesky corners of white space that aren’t big enough for an ad or an article. But it’s essential that the picture is good, because if it’s not, there’s a chance your whole story will be dropped. My editorship of The Premier People has restored my appetite for journalism. Journalism will always be a valuable part of my writing portfolio and I will be working strongly on ways to adapt myself to the journalism market as it stands, so I can continue to keep my journalism muscles flexed. This week’s blog post is a guest spot from writer and teacher Michelle Moloney King, who takes us through a typical class with sixth-class pupils. In the English curriculum, creative writing is under the strand of Emotional and imaginative development through language – developing emotional and imaginative life through writing. Kinda tricky to achieve when you’re faced with a 6th class of 35 kids. No wonder I put in 20 hours’ prep for ever five hours I teach. My lessons are broken down into three parts: intro, development of learning and conclusion. When you have to compete with the instant gratification of mobile phones, computer games etc., you need a strong hook. I reel ‘em in with the technology they love. I show them PowerPoint slides with pictures or a short movie clip and ask them questions about the people featured in each clip, who they are and what’s happening to them. After I’ve shown them the picture or video, they discuss it in pairs using the five Ws: when, where, what, who and why. I’ll go round the room to check what they’re saying and help if needed. Afterwards, I bring them together and ask them to share their partner’s opinions to check that they’re listening. Now I’ve captured their interest, I ask them to take out their English copies and awrite down the date, the title “creative writing, draft 1,” and the 5 W’s. They think of a title for the picture they have chosen and write words associated with the picture. Three of them share their thoughts with the class. We have a discussion about what makes a good story adn then they write a story with a beginning, a middle and an end. It’s time to get them excited about their next lesson. I tell them that their story will be put into a book, a class blog or a website. I also build a mood of anticipation for their next class, explaining that they’ll be learning how to make their stories better and preparing them for publication. Best of all, everyone gets a chance to sit in the teacher’s seat and share their story with the class. They’ll be showered with praise. Michelle Moloney King grew up on a farm in Co. Tipperary. Her lullabies were tales about banshees and fairy forts from her banjo playing father. His last words to her were, ‘You won’t remember me, you’re too young.” She started penning down his stories and thus began her creative writing. She has a Bachelor of Science in IT with University of Limerick and recently completed a Post Grad in Primary School Teaching with Hibernia College. She started a blog in April 2011 and shares stories about teaching, the IFSC, creative writing, flash fiction, ICT, art and much more. Since finishing my first novel, The Pink Cage, 15 months ago, the fields of my imagination have been a bit fallow. I’m not a very prolific writer and the next Big Idea is slow is coming. But I’ve still been scratching away in my notebook, keeping my imagination active, keeping the fields tilled to facilitate growth. And this has borne some fruit in the form of two short stories, one of which was published in an anthology called From the Well. There’s a simple message to all this. The cure for writer’s block is to write your way around it. As Pablo Picasso says, ‘When inspiration comes, let it find you working.’ And we all know how prolific he was. Even if you think what you’re writing is rubbish, write it anyway. Among the trash, a few gems might emerge. There are a few things you can do to keep your imagination stimulated. Use your notebook. As you go out and about, keep a notebook close by and make notes about what you can see and hear. At the very least, you’ll be honing your observation skills. And a stray comment or a funny incident might trigger a story. Maeve Binchy is the doyenne of this. She learned to lipread so she could eavesdrop on conversations undetected! What’s on your mind? Is your mind full of wacky, wonderful thoughts and wordplays? Is there a character you think of that won’t go away? You mightn’t attach much importance to these, but they could hold the key to your next story, especially if you find you can’t dislodge the thoughts. Writing these thoughts down keeps you in touch with what’s happening on your mind and helps you catch ideas while they’re fresh? Exercises. If you’re a structured type of person, exercises might be useful. Creative writing handbooks are stuffed with exercises to get you going. Doing exercises will keep your brain oiled and sharpen your technique. And they can help you tap into a wellspring of ideas. Set targets. Maybe you’re driven by outside deadlines. If that’s you, set a target of words to write or time to spend writing each day. Or pick a competition or journal with a submission date and use that to spur you on. Writing every day, regardless of whether ideas are there or not, is what makes you a writer. If you really feel you’re wasting your time, remember that no word is wasted. They’re all bringing you to that promised land of a brilliant idea that will bring you creative fulfilment and win you legions of fans.